Toronto is the capital of the province of Ontario, a dynamic metropolis with a core of soaring skyscrapers in its business district, all dwarfed by the iconic CN Tower. It is a power house in its own right and has been labelled a city of the future, as well as being the safest city in Northern America. Toronto is the second most competitive financial centre in North America and many people don't realize Ontario is one of North America's largest centres for information and communications technology, second only to Silicon Valley. If those aren’t reason enough to get over there and exhibit then what is! Once you land at Toronto Pearson International Airport you can take public transport to get to downtown Toronto but it will take you 75 minutes, or you can hop in a cab and be there in 30 or take the Union Pearson Express, a dedicated rail link that connects downtown with the airport in 25 minutes. Go up the CN Tower - no longer the tallest freestanding structure in the world, but definitely one of the most recognisable on the skyline. Cruise to the Toronto Islands - a chain of green islands a few miles from the city’s waterfront. Wander along the waterfront and enjoy the landscape where the beach meets the skyscrapers. Poutini’s House of Poutine. Poutine - the soupy combination of cheese curds and gravy slathered on chips is a Canadian staple. One. Expect fun takes on a classic menu including: lobster spoons, Korean chicken tacos and proper hotel comfort food such as burgers and cobb salads. 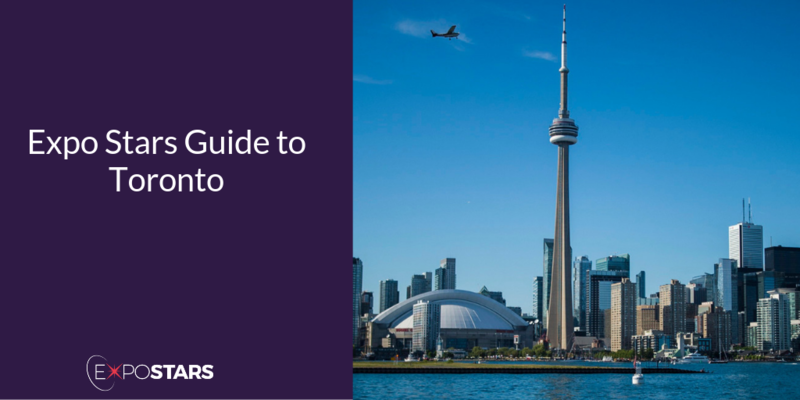 Toronto is the most linguistically diverse city in Canada, with approximately 200 languages spoken here. But the official language is English. Plug sockets are the same as America - the two pin plug.